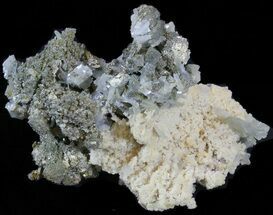 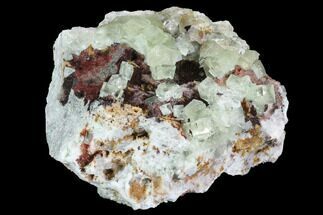 This large specimen contains quartz, calcite and fluorite with pyrite micro-crystals. 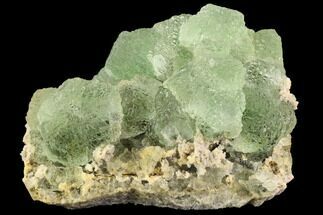 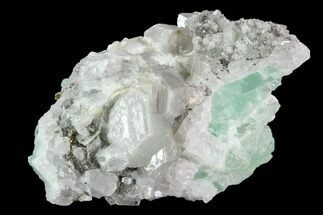 The fluorite can be viewed when looking at what could be considered the bottom and side of the specimen, noted by its green hue. 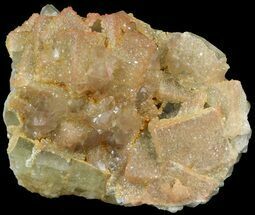 Calcite crystals can be found across the top of the specimen, covering a portion of the quartz aggregation. 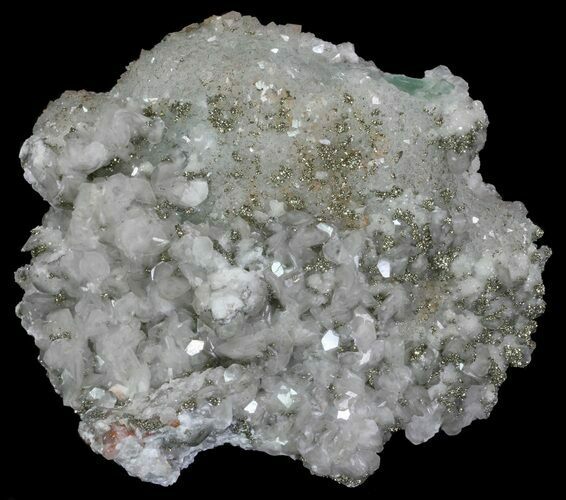 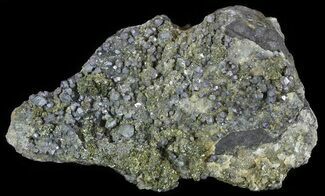 The pyrite is located on both the quartz and calcite. 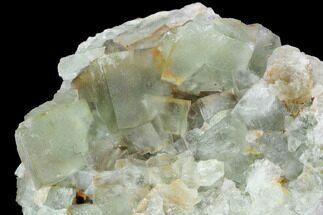 Under short and long-wave UV lighting, the calcite fluoresces pink-orange, while the fluorite at the bottom of the specimen has a beautiful deep blue fluorescence. 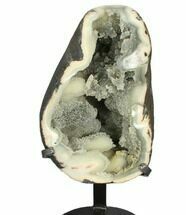 This specimen also comes with a display stand for preferred presentation.